Primarily a residential neighborhood, the Upper West Side can serve as a great home base for visitors to New York City and is certainly worth exploring if you have time. Hotels on the Upper West Side often offer a better value than in many other areas and also provide visitors an escape from the chaos of Midtown and other tourist-heavy areas. It is a convenient location for exploring Central Park, as well as the American Museum of Natural History, and the many subways and buses make it easy to explore other areas of the city. It is a great neighborhood for shopping (especially at gourmet stores, like Zabar's and Fairway), and the brownstone-lined blocks and luxury apartment buildings make the neighborhood well worth strolling around. 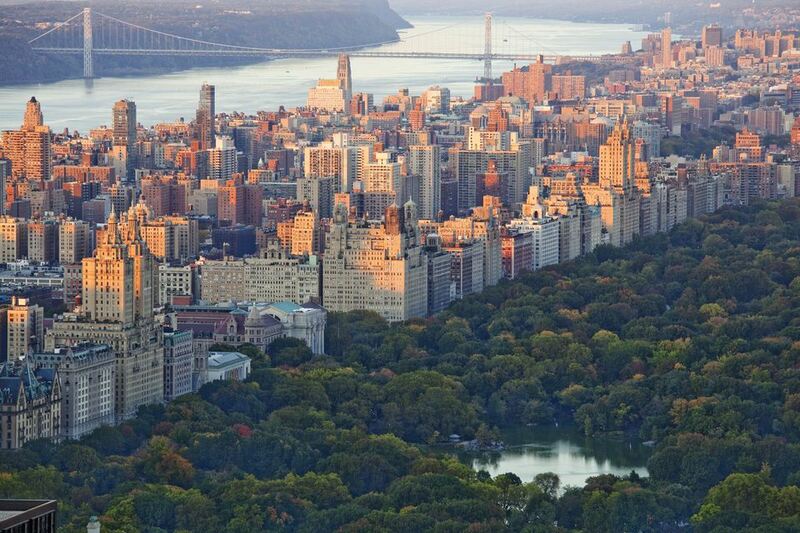 Some of the famous residents of the Upper West Side have included Babe Ruth, Humphrey Bogart, and Dorothy Parker. Today, many celebrities live in apartments and homes throughout the area, particularly in the buildings lining Central Park West. The Upper West Side is a giant neighborhood in Manhattan, bordered by the Hudson River (Riverside Park) to the west and Central Park to the east. The southernmost street in the area is 59th and the northernmost point is 125th Street. It is very easy for locals and tourists alike to use the subway to get to Central Park West. (Plus the subway is typically faster and cheaper than taking a cab.) The A, B, C, and D trains run along Central Park West and stop at 59th Street/Columbus Circle, 72nd Street, 81st Street/Museum of Natural History, 86th Street, 96th Street, 103 Street, and Cathedral Pkwy/110th Street. The 1 local train also runs along Broadway and stops at 66th Street/Lincoln Center, 72nd Street (2 and 3 express trains are also available here), 79th Street, 86th Street, 96th Street (2 and 3 express trains are also available here), 103 Street, and 110th Street. Elegant pre-war buildings line Broadway, Central Park West, Riverside Drive, and West End Avenue. One of the most famous is The Dakota, where John Lennon was shot, and Yoko Ono still lives. Residential streets are lined with brownstones, many of which are designated as landmark buildings. If you're looking for something to do in the Upper West Side, check out some of the city's best museums, cathedrals, and performing arts centers.